We have a wide range of corporate wellness services. All our yoga teachers are fully certified with a minimum of a 200-hour certification course from a1000yoga Academy. Our Yoga Classes are designed to suit everyone, from a beginner to an intermediate practitioner of yoga. Our recommendation is to practice at least twice a week to reap the benefits of the practice. Based on a flow of simple series of stretches, our on the spot yoga sequences help open the body up making you ready to face the day with renewed energy. 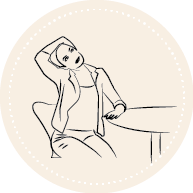 Sessions are conducted for ALL employees at their desk or on a space with chairs.This is also a great way to assess the interest of the employees before opting for regular yoga sessions at your workplace. We bring Yoga classes to your workplace either before, during or after work hours. Classes are specific to your workplace and desired outcomes. Our well-balanced yoga classes are based on the foundation of classical Hatha Yoga, a combination of asanas (physical postures), breathing techniques and meditation varying from dynamic practice to restorative practice. 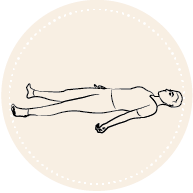 Rejuvenate your body and your mind through Swami Satyananda’s Yoga Nidra Technique. “a single hour of Yoga Nidra will is as restful as 4 hours of conventional sleep” – leaving you fresh, focussed and ready to face any critical project or deadlines. This practice is easy to offer within your own work environment. 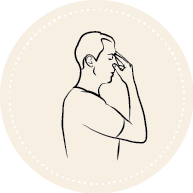 Destressing with Pranayama Breath Practice and Meditation.1-hour session. 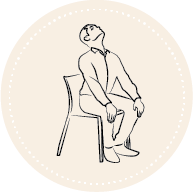 At a physical level, breath awareness eliminates joint compression and other imbalances resulting from wrong postures and a hectic lifestyle. 30 Min to 1-hour sessions . 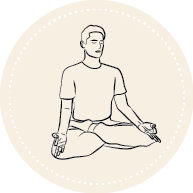 Use our yogic approach to break the routine of a long business offsite. We will provide yoga services at your place of interest, whether it is at a conference room, hotel ballroom, or offsite and make the sessions convenient and seamless for you and your guests/employees. Based on your needs, we also offer customized workshops.